Undertakes all aspects of deer management we provide expert advice on subjects such as damage assessment, limitation and prevention. Deer censuses are carried out annually and management plans set accordingly. Research work is also undertaken. UK Deer Management Services is committed to the humane and effective management of deer, with the emphasis being on safety at all times. Management is carried out in full accordance. Prostalk Deer Management ….Undertakes all aspects of deer management we provide expert advice on subjects such as damage assessment, limitation and prevention. Deer censuses are carried out annually and management plans set accordingly. Research work is also undertaken. Prostalk Deer Management is committed to the humane and effective management of deer, with the emphasis being on safety at all times. Management is carried out in full accordance with the wishes of landowners to achieve the desired results, whilst complying with deer stalking all legal requirements and relevant legislation. In the past 6 yrs Prostalk has gone from strength to strength. Now, apart from providing Deer Management in some of loveliest parts of the country we also carry out training in Deer management. At Prostalk, apart from providing Deer Management & stalking in some of loveliest parts of the country we also carry out training in Deer management & stalking. In today’s fluctuating rural economy every pound counts. Trees and agricultural crops are of paramount importance; therefore minimising damage is vitally important to maintaining the rural economy. As is the income to the Estate generated from the Deer Management operation. Approximately 10 yrs ago I left the Forestry Commission and set up the company.Qualifications. Emily Padfield On behalf of my partner Mark Warner and I - I would like to recommend Derek Stocker as a genuine, first class hunting tour operator. We met at the shooting show in February, and having decided on a trip to Africa we visited and spoke to a number of companies, we decided on Prostalk because of Derek's openness and honesty. We both travelled to South Africa for a cull package and can honestly say that it far exceeded any expectations we both had. He delivered everything he set out and so much more. 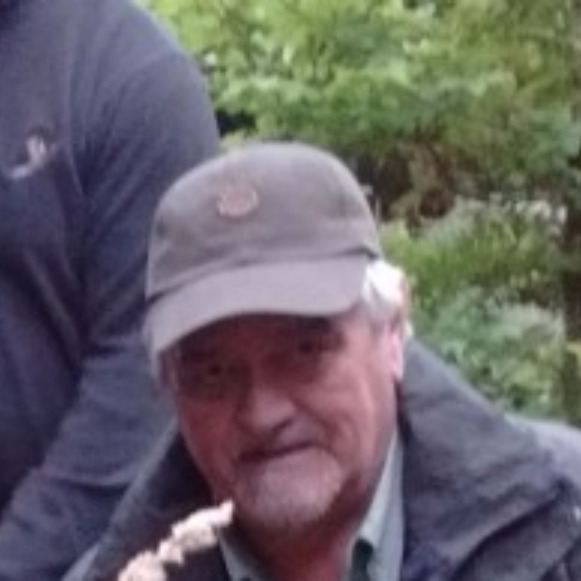 Derek is an unassuming chap, but he knows both hunting in the U.K. and abroad, so can tailor trips to what individuals are looking for. We have met friends and had experiences that will remain with us forever, thanks to Derek setting up such a wonderful trip, with both fantastic,challenging hunting and great company. Truly the stuff dreams are made of (sorry for the corniness!). So much so that we hope to join Derek on this German boar trip and again next year in SA. Mark would be happy to speak to anyone via phone (he's not into Facebook ?) to explain more. Thanks again Derek and your team for such a wonderful and successful trip in May and look forward to seeing you soon. 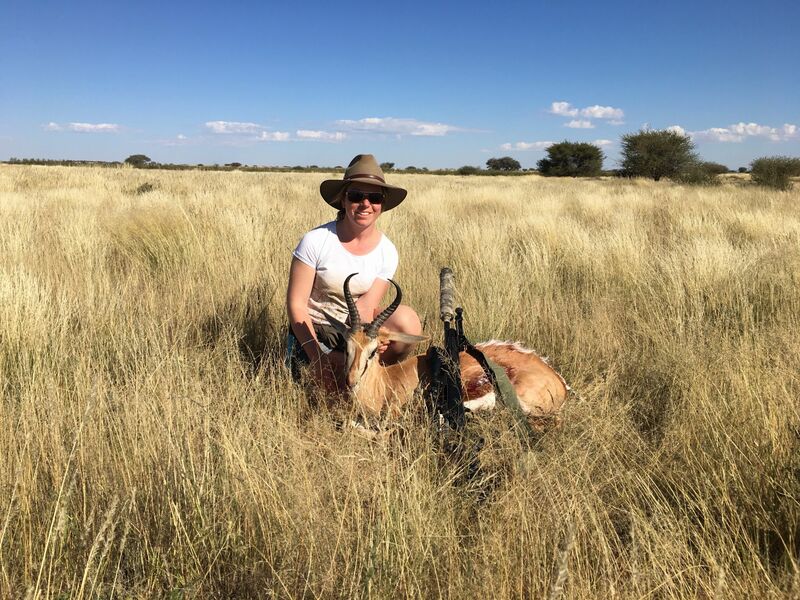 My first trip to Africa and for it, I chose ProStalk Safari and I was not disappointed. Living in Wiltshire Derek the boss of ProStalk picked me up on his way to Heathrow. I was a bit concerned about getting my rifle, all my ammunition and my shotgun through, Heathrow, through Johannesburg and out at Kimberley, everything went smoothly. It was tedious as they checked the guns at every point and there is quite a lot of paperwork to complete but Derek guided us through all of it. The same on the way back. We were met at Kimberley by the Rob Klemp and looked after by Derek and Rob right through the trip. There is never a shortage of anything plenty to drink, eat and we entertained ourselves although, to be honest, the days were busy so it was good to get into bed each night. The accommodation is basic but clean and tidy, the food was great a good variation and some local delicacies just what a group of hunters want. So how was the hunting? Well, you will not be disappointed, I wanted to shoot Springbuck, Impala and Wart Hog I got to shoot all 3 and I added, Blesbuck, Kudu, Wildebeest, Steen Buck and Red Hartebeest as well. It was a management package I had booked but I was not disappointed with the animals I shot. You do cover a lot of ground and the vehicle is essential but I shot from foot as well as the vehicle. Adding to the excitement of the trip they took us Sand Grouse shooting twice, great little bird and we did well once we got into it with shooting 120 birds on our second outing with 4 guns. We also went out on 2 evenings lamping and shooting Spring Hare, which was great fun. Would I go again, yes, would I go again with ProStalk Safari, I am already booked in for next year. Our dedicated team is here to help you book your adventure!